Bust out those flower crowns Beyonce dance moves because Kidchella is lighting up Montclair this weekend. 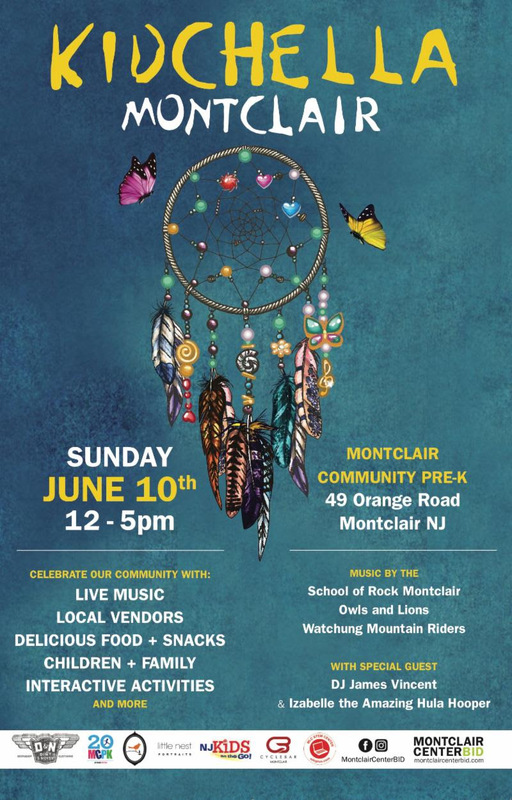 On Sunday, June 10th from 12-5 PM, the Montclair Community Pre-K (MCPK) is hosting Kidchella Montclair. MCPK is partnering with Montclair Center BID, Dirt and Noise Kids, and Little Nest Portraits to put on a fabulous outdoor event that is perfect for the whole family. The afternoon will offer fun and interactive activities, in addition to local vendors and delicious food and drink. The event is all about celebrating the amazing Montclair community, and everything that it has to offer to children and their families. Much like its Californian counterpart, Kidchella attendees can watch awesome live musical performances from the Montclair School of Rock, Owls and Lions, and Watchung Mountain Riders. The event also celebrates the Montclair Community Pre-K’s 20th anniversary. And, guess what? The event is free! Kidchella Montclair comes off the heels of an announcement of the Montclair Community Pre-K’s next Executive Director, Amy Dorr. Dorr was raised in Montclair and has most recently served as the vice principal for P.S. 531, a school for ages Pre-k to 5 in the Bronx for the last seven years. The MCPK is thrilled to welcome Amy Dorr as Executive Director and is ecstatic to host Kidchella this coming Sunday. It is sure to be the festival of the season.